Boerenkaas is a farmhouse-style cheese that originated in Holland. The name comes from the Dutch words boer, which means farmer, and kaas, which means cheese. It was traditionally made from unpasteurized cow's milk. Since it is a farmhouse cheese, it is typically made by small manufacturers that specialize in producing raw milk cheeses. This limited production makes the cheese rather scarce in Holland. Boerenkaas has an amber outer rind that covers a creamy tan-colored cheese containing only a few holes dispersed throughout the cheese. Aged for several months, Boerenkaas has a semi-hard texture and a rich nutty flavor that becomes stronger and somewhat fruity as it matures. Boerenkaas is a good cheese to use for baking or grilling, and it is also served on hot or cold sandwiches, used as a breakfast cheese, or served as is for snacks. 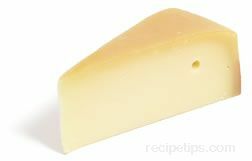 Boerenkass also may be referred to as Boorenkaas Gouda, because it is similar to the popular Dutch Gouda cheese. 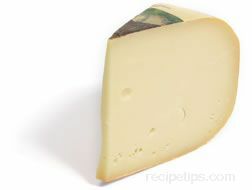 Edam is a very popular yellowish firm Dutch cheese that has a slightly sweet and mildly nutty flavor. If authentically made, the taste may actually be somewhat salty, but most of the Edam produced today is much less so. The cheese is produced from skimmed or semi-skimmed pasteurized cow's milk, resulting in a fat content of 30% to 40%. It is formed into small wheel shapes that are coated in a jacket of red, yellow, or black wax (depending on the age of the cheese). 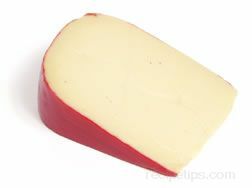 Younger Edam is coated in red wax, while fully aged Edam is coated in black wax. Edam is similar to Gouda cheese, but it's not quite as creamy and its texture is a bit dryer. Most of the Edam that is available is sold when young, but the aged cheese is also available, but it's not quite as common. The aged cheese has a stronger flavor and a firmer texture, having been allowed to mature for at least eight months to over one year. Much of the Edam cheese is still produced in Holland, where it originated. Large quantities are also produced in Argentina, but the Argentinean version has a slightly different flavor and texture than the cheese produced in Holland. Edam can be served as a breakfast cheese, as an appetizer or snack, or it can lend its versatility to many cooked dishes. Farmhouse is a term that is commonly applied to any of the different types of European cheeses that are made by traditional cheese making methods and are produced from the raw milk of animals, such as cows, goats, and sheep that are raised on small regional farms, mountain chalet farms, or mountain huts. The quantities of cheese produced from farmhouse methods are small. When approved for production by the European AOC (Appellation d'Origine Controlee) the cheese is categorized as a "fermier" or "farmhouse" variety. Although this term originated in Europe, it is also often used to classify American varieties of cheese that are produced from small operations. The term, Farmstead Cheeses,refers to cheeses made with milk collected from a group of farms that are located within close proximity to where the cheese is produced. Typically, the owners of the farms raise their animals on similar grasses, in similar areas, and with similar methods to produce the milk that is used in the production of the cheese. A similar term often associated with European cheeses is farmhouse cheese,referring to cheeses produced in lower volumes and made on individual farms that are situated in valleys, mountainous areas, or the meadowlands of Europe. Gouda is a popular Dutch cheese made from cow's milk. The flavor of the cheese ranges from mild to sharp depending on the age of the cheese. When young, the cheese is known as Baby Gouda and has a very mild in flavor. The texture of Baby Gouda is soft. It is usually sold in rounds weighing about one pound, which are covered in a red wax coating. Gouda that is intended for aging is formed into wheel shapes of up to 25 pounds. As it ages, the texture hardens, and the color of the cheese becomes dark ivory or caramel colored. It is at this point that the flavor intensifies, tasting much like cheddar. Aged Gouda is covered in a yellow wax coating. 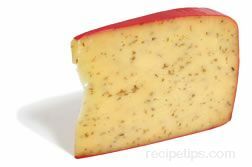 Occasionally, Gouda is flavored with cumin or various herbs to enhance the flavor. Baby Gouda is a good all-purpose cheese, excellent for snacking or for appetizers. Aged Gouda is often served with dark-grained breads and full-bodied red wines. Like regular Gouda cheese, this variation is made from cow's milk, but the cheese is blended with bits of stinging nettles to enhance the flavor of the cheese. The stinging nettle is a common herb that is often used in salads or as a side dish of greens. Cooking the nettles eliminates the "sting" of the herb, which allows it to be used as an ingredient in the Gouda cheese. Mildly sharp in flavor, Gouda with Stinging Nettles is a soft-textured cheese formed into wheel shapes that range in weight from ten to twenty pounds. When pairing the cheese with wine, choose a medium-bodied red wine. The cheese also goes well with dark beer. 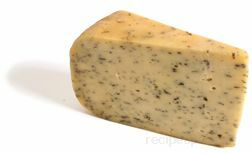 In addition to being flavored with herbs, such as the stinging nettles, Gouda is also available as a cheese flavored with spices, such as cumin. Leerdammer is a Dutch table cheese made from cow's milk. It is firm but not hard and has an open texture with large eyes dispersed throughout. 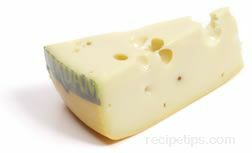 The cheese is creamy white and is similar in appearance and flavor to Emmental, which is a more expensive Swiss variety. Young Leerdammer has a sweet and somewhat nutty flavor that becomes more pronounced with age. Leerdammer cheese can be served as an appetizer or snack, layered in sandwiches, or used as a breakfast cheese with meats or bread. 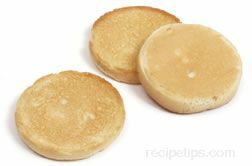 Since it has good melting properties, it can be baked and grilled, complementing a variety of cooked food dishes. Leyden cheese is of Dutch origin, made on the farms around the city of Leiden. Made from skim or whole cow's milk, Leyden is a cheese that is flavored with caraway seeds, and at times, cumin seeds or cloves. The cheese is made into small round wheels weighing approximately 14 to 16 pounds. 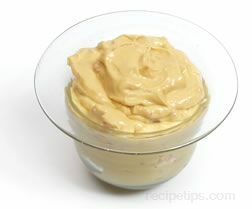 The curd is colored with annatto dye before being washed in a brine solution. The cheese is aged in a humid area and then a dry area. Depending on the age of the cheese, the texture is slightly firm to quite hard, and it ranges in color from light ivory-yellow to orange-tan. As the cheese increases in age, the flavor becomes spicier and tangier. Leyden is an excellent cheese to serve with bread, crackers, ham, beer, and hearty red wines. It is often compared to Gouda cheese. 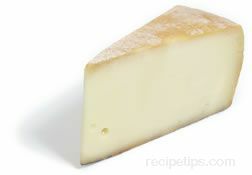 Leyden cheese is also referred to as Leidsche Kaas, Leidsekaas, Komijnekaas, or Leiden cheese. Made from cow's milk, Parrano is a cheese of Dutch origin. 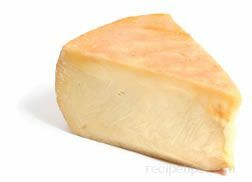 The rind is a golden tan color, covering a cream-colored cheese with a semi-hard texture. This cheese is somewhat similar to a flavor combination of Dutch Gouda and Italian Grana Padano, giving it a slightly sharp taste that is also reminiscent of Parmesan cheese. 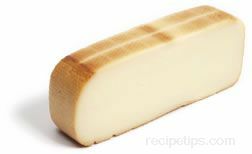 Parrano is a good cheese for snacking, for serving as an appetizer, or for adding to salads and sandwiches. 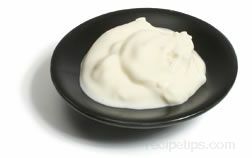 Quark is a type of fresh cheese produced in Holland, the United Kingdom, Germany, and any other countries. It is similar to strained yogurt in both flavor and texture; however, some versions of this cheese are produced as curds while others may be smooth and free of the lumps of the small curds. The cheese gets its name from the German word for curd,which is "quark." A cheese native to Holland, Vlaskaas is produced from cow's milk. It is similar to Gouda. With a firm texture, this cheese is creamy yellow and has a flavor that is slightly richer tasting than Gouda with a mildly sweet overtone. The cheese becomes sharper tasting as it ages. Vlaskaas is a good cheese to serve for ordinary snacking, with grained breads, hearty crackers, or layered on sandwiches with a variety of meats.